Home » FAQ » What Is Refinancing? Refinancing is something a director and company owner does as a matter of course during the life of their business. This could involve meeting with the bank to get an extension on an overdraft, completely overhauling the current banking facilities or negotiating a loan with a new lender. If it is a young and innovative new company it may even be considering going down the modern-day crowd-funding route to help launch a particular product or service. Is Refinancing Feasible For Your Business? 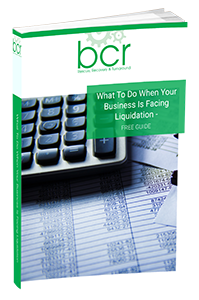 For any company which is suffering low sales and feeling the pressure from creditors there has always been the option of raising money against its capital assets. However, this isn’t the only financial strategy that can be employed today. There are, in fact, many different routes to take when it comes to coming up with more company funding – although admittedly raising cash from many of the big lending institutions certainly isn’t as straightforward today as it was pre-2007 and the recession. A tightening of rules for those same lending institutions has led to a certain amount of ‘jumping through hoops’ many company directors have found – consider how difficult it is to get a mortgage these days without an excellent credit record and large deposit, for instance. Having said that, many doors do remain open; often it is just finding the means to unlock them. The following is a list of possible finance options, but due to the fact that products change or are updated fairly regularly, it certainly isn’t exhaustive. We recommend you get in touch with one of our team to discuss your options in person. If you find yourself in need of finance then let the team here at BCR help you find the best option for you – certainly there are pros and cons to each which must be weighed up carefully and aligned to your own company’s circumstances before any decisions should be made. Contact us today or read our free Recovery Guide.